Following on from legislation changes that came into effect on 17 December 2018, we’ve launched the new Subcontract Agreement in response to member feedback and requests. The new version is fully compliant with these recent legislation changes and is a significantly more comprehensive document than the previous version. It has many options that will suit a variety of head contract arrangements and provides both parties with flexibility as to how the risk is allocated in the contract. It’s available for use in our eDocs system for $15. This new version has some beneficial inclusions, including offering more flexibility regarding forms of security and progress payment reference dates. It also offers clarity as to how and when retention is to be released (if applicable to your situation). Dispute resolution options including without prejudice conference, mediation, arbitration and expert determination. 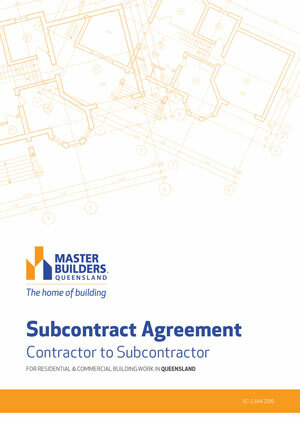 The previous version is still available, but is now called the ‘Subcontract Agreement – Basic’. This new name reflects its smaller, more compact size – but rest assured, it is still compliant, sets out the rights of both parties and can be amended, as needed, through special conditions. For eDocs users, it is the same document that was available before. This really depends on the type and scale of work you do. If you’re looking for a comprehensive document that provides flexibility regarding security, payment arrangements, or liquidated and delay damages, or are looking for a subcontract that is suitable for a more comprehensive head contract, the full Subcontract Agreement is probably the best option. 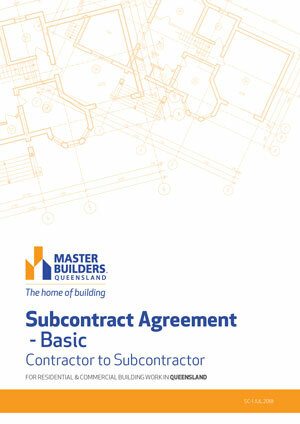 The Subcontract Agreement – Basic is a smaller version suited to lower risk subcontracts or smaller work packages. If you’re not sure which version to use, contact us or call 1300 30 50 10 and our team of experts can talk you through it and provide advice on the best version to use to suit your circumstances. If you’ve been using this document within the eDocs system, it’s business as usual. The version you have been using previously will now be known as the ‘Subcontract Agreement – Basic' and will continue to be available. If you had a document in progress, your data will be unaffected – it’s just a simple name change. The new version is now also available, so jump in and check it out. You can simply choose this new version when starting a new document and start working on a draft.